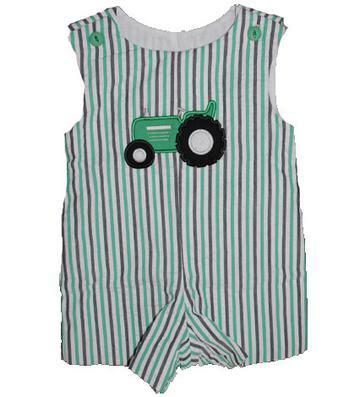 Tractors are a boys best friend. 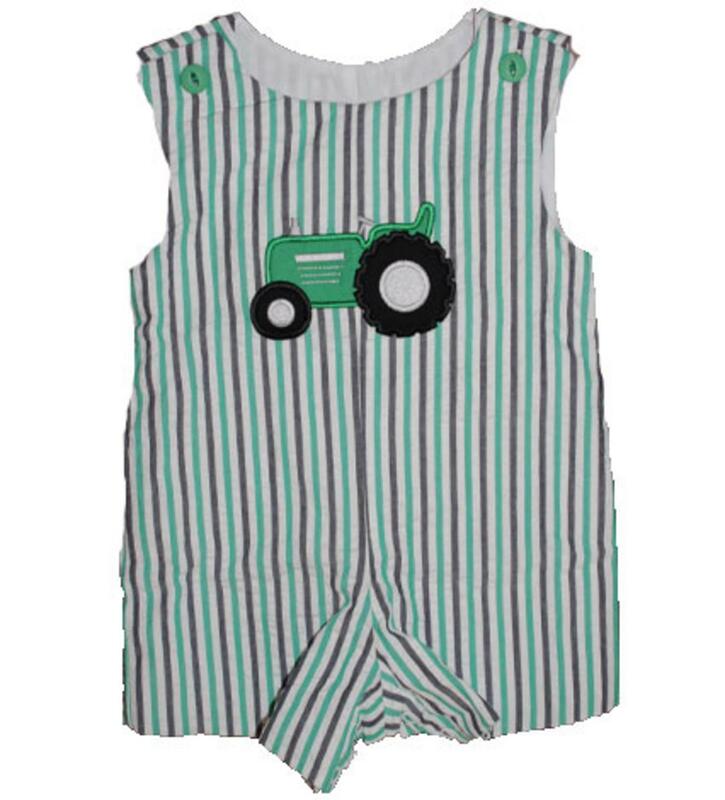 The emerald green, dark chambray and white vertical stripe jon jon has a green tractor applique on the chest. There is two green buttons on the shoulders and snaps on the inside of the legs to accommodate diaper changes. This comfortable outfit is 100% cotton.